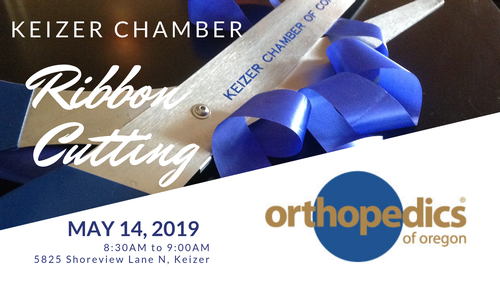 We invite you to join us for a Ribbon Cutting event at Hope Orthopedics of Oregon on May 14th, 2019. Hope Orthopedics of Oregon is a full-service practice devoted to the diagnosis and treatment of injuries and diseases of the musculoskeletal system. We provide general orthopedic, and sports medicine care, as well as hand therapy and physical therapy. Our primary goals are to improve your quality of life, and return you to your normal activities quickly and with as little pain as possible.